Scientist have reported the creation of a strong loss-of-function phenotype for the normal prion protein (PrP) in zebrafish embryos. This phenotype is characterized by the loss of embryonic cell adhesion and arrested gastrulation. The results of additional experiments indicate that the normal prion protein (1) mediates Ca+2-independent homophilic cell adhesion and signaling; and (2) modulates Ca+2-dependent cell adhesion by regulating the delivery of E-cadherin to the plasma membrane. The authors stated that their data uncover evolutionarily conserved roles of PrP in cell communication, which ultimately impinge on the stability of adherens cell junctions during embryonic development. The results were published in PLoS Biology, and an accompanying paper comments on the results. 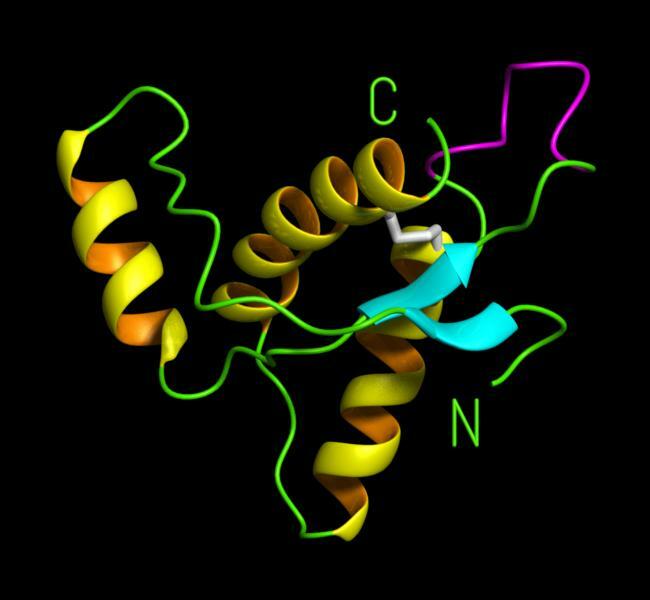 Researchers report the development of two new anti-androgen drugs that retain their effectiveness in the face of increased expression of the androgen receptor. Patients with metastatic prostate cancer are normally treated with drugs that antagonize androgen function, but most of these patients progress to a more aggressive form of the disease that is driven by increased expression of the androgen receptor. Both the new drugs bind more tightly to the androgen receptor than does the current clinically used anti-androgen. Both new drugs have shown evidence of effectiveness in mouse models, and one of the drugs has shown effectiveness in the early stages of a human clinical trial. The report of the new drug development will be published in the April 9 issue of Science Express. A new type of probe that allows researchers to visualize single molecules of RNA within living cells more easily than by existing methods has been developed by biomedical engineers at Georgia Tech and collaborating institutions. "The probes we designed shine bright, are small and easy to assemble, bind rapidly to their targets, and can be imaged for hours. These characteristics make them a great choice for studying the movement and location of RNA inside a single cell and the interaction between RNA and binding proteins," said Philip Santangelo, an assistant professor in the Wallace H. Coulter Department of Biomedical Engineering at Georgia Tech and Emory University, and a co-author of the article published online in Nature Methods on April 6.